Effortlessly boost performance and efficiency. Experience Radeon Software with industry-leading user satisfaction, rigorously-tested stability, comprehensive certification, and more. Strange Brigade may experience intermittent application crashes when using DirectX12 API. Note to 32-bit Windows users: AMD has discontinued support for 32-bit versions of Windows 7 and Windows 10. Users are required to upgrade to a 64-bit system should they wish to use the most up-to-date drivers available. Note to Windows 8 users: Beginning with driver version 17.7.2, AMD will not be releasing newer drivers for Windows 8. Note: AMD Radeon R9 Fury, Radeon Pro Duo, Radeon RX 400 Series, Radeon RX 500 Series and Radeon RX Vega Series graphics are only supported by Radeon Software Adrenalin Edition on Windows 7/10 64-bit. Radeon Software Crimson ReLive Edition is designed to support the following Microsoft Windows platforms. Operating System support may vary depending on your specific AMD Radeon product. This driver is not intended for use on AMD Radeon products running in Apple Boot Camp platforms. Users of these platforms should contact their system manufacturer for driver support. When installing Radeon Software Crimson ReLive Editionfor the Windows operating system, the user must be logged on as Administrator, or have Administrator rights to complete the installation of Radeon Software Crimson ReLive Edition. Radeon Software Crimson ReLive Edition requires Windows 7 Service Pack 1 to be installed. 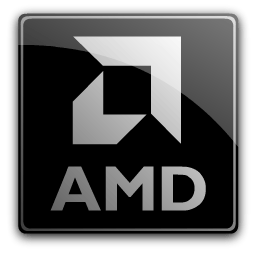 AMD terminated support for Windows 8 32-bit. We have links version 17.1.2, which was the last version for Windows 8 32-bit.